Recently we were visited by Rost’a Capek and his wife, who live and work in Prauge, Czech Republic. Capek has been building instruments – primarily banjos and mandolin family members – for bluegrass and jazz players for over 26 years. 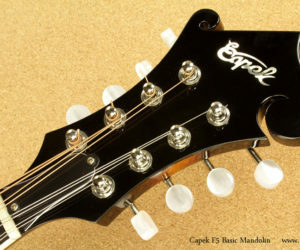 We’ve just taken delivery of a Capek F5 Basic Mandolin model, and it is impressive. The build quality is very high and the instrument sounds great. 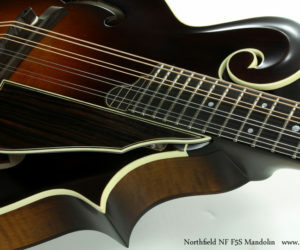 We recently received a Northfield NF F5S Mandolin! We’ve had a very few Northfields basically as demo instruments, and they were very well received. 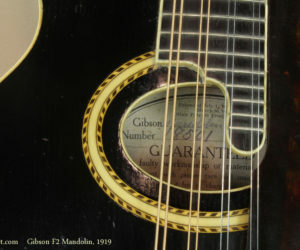 Orville Gibson basically invented the modern mandolin around 1895, combining the basic stringing and tuning layout with violin-type construction technology. To this point, the mandolin was usually a bowl-backed instrument, though some related flat-backed instruments such as the cittern had existed for some centuries. 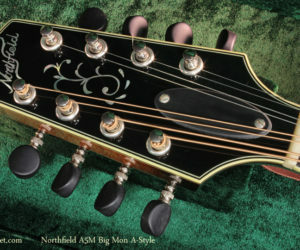 Presenting Northfield Mandolins! Recently we received two examples of Northfield Mandolins, in A and F styles. These are wonderful instruments, with really great materials selection, very high build quality and attention to detail, and tone for days.